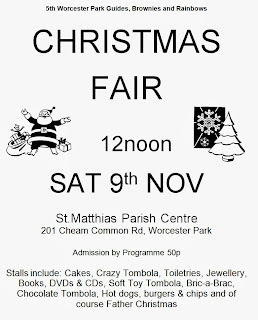 Saturday the 9th of November (that's the one after this coming one), Worcester Park plays host to two fair type events which will hopefully entice the good people of the area to go along an enjoy the many wares and activities on offer. The 5th Worcester Park Guides, Brownies and Rainbows (have they always had Rainbows?) 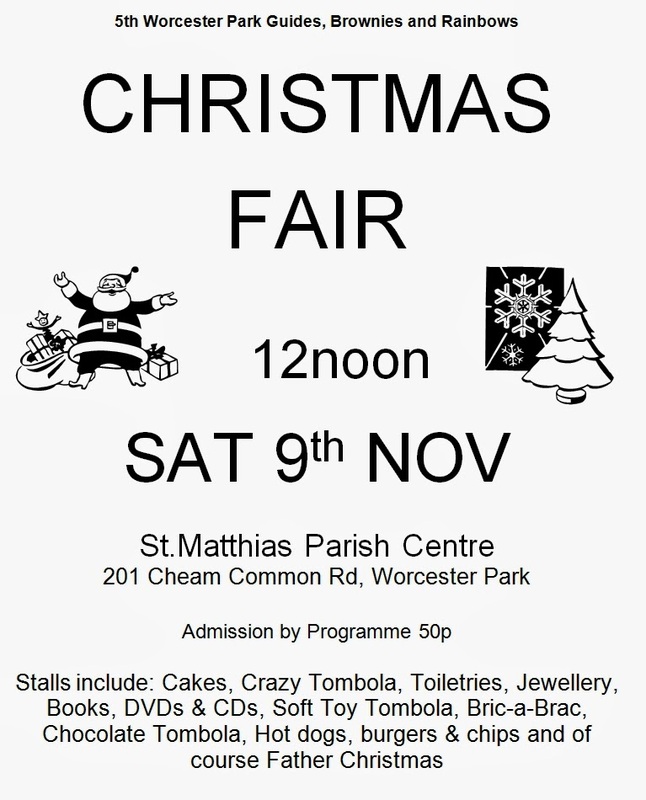 are putting on a Christmas Fair at St.Matthias Parish Centre from midday. This can be found at 201 Cheam Common Rd. 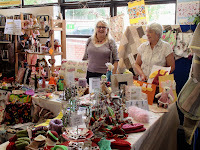 They will have lots of fair style attractions there including Tombola, Cakes, Stuff for sale and Father Christmas! Admission is only 50p. And over in the library, starting earlier at 9:30, the Friends of Worcester Park Library will be holding another Craft day. 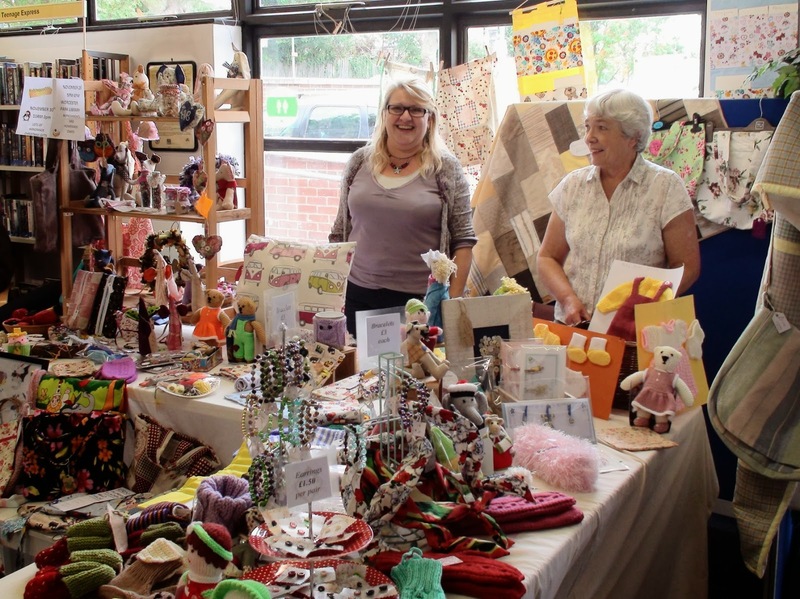 The girls will be offering a huge range of craft items so pop in and take a look in between reading the paper and choosing some books to borrow. This will run through until 3pm.